Piston ring compressor tool fits 2-1/2" - 5" pistons. Height 3-1/2". Constructed of high grade spring steel with 1/4" square drive adjuster. Self locking with double tension band and heavy duty pawl. 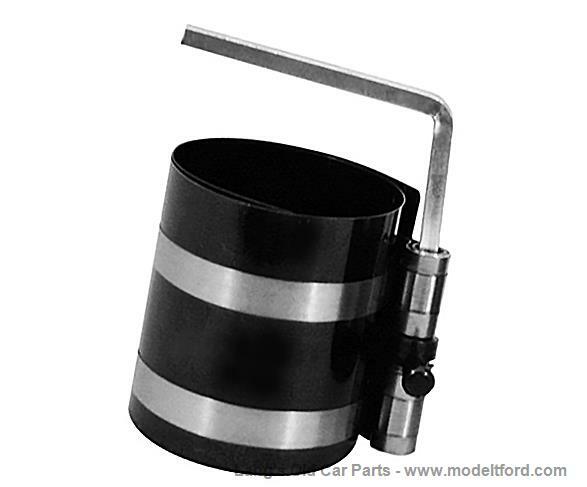 Designed to handle all Model T and Model A pistons as well as the majority of any cars.